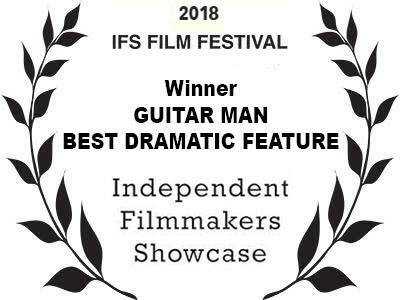 GUITAR MAN won the Audience Award for “Best Drama” at its debut screenings in San Francisco Indie Fest, “Best Drama” at IFS Film Festival and eight additional festival awards, including “Best Writer” at Cinema At The Edge and “Best Original Screenplay” at Golden State Film Festival. 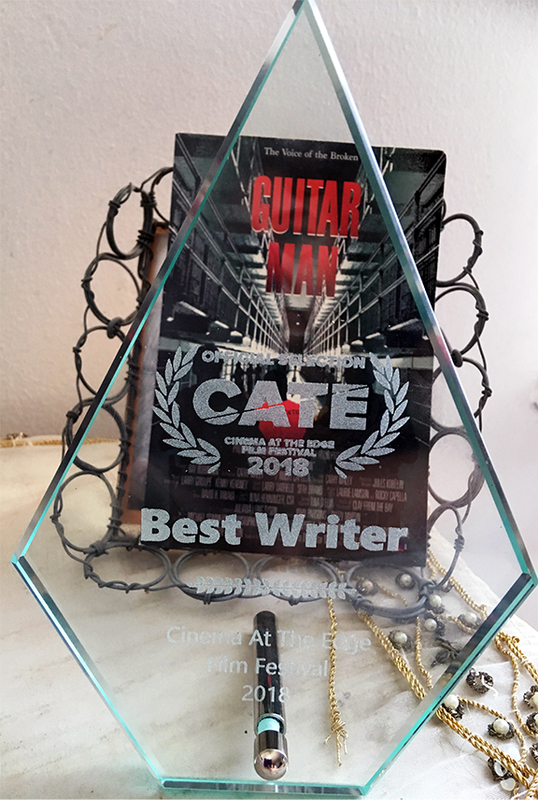 By trying to save at least one troubled youth from ending up in prison, even at the risk of his own family, a ‘failed’ musician discovers the true gift of his music… and the deeper meaning of freedom. 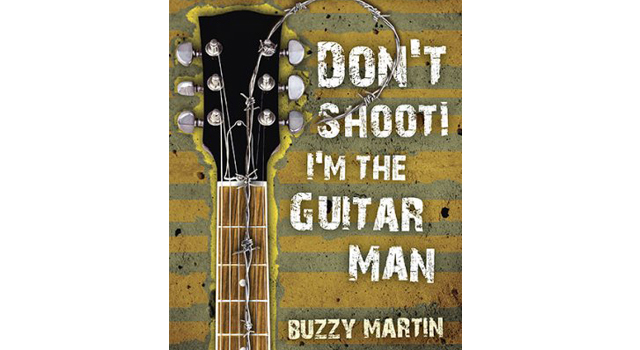 I was challenged and thrilled by this screenwriting assignment: to adapt the nonfiction book Don’t Shoot, I’m The Guitar Man by musician and youth advocate Buzzy Martin. The book details Buzzy’s experience teaching music to prisoners in San Quentin. The screenplay is an adaptation of Buzzy’s book and life. Buzzy’s book was published by Penguin in September 2010 and the first printing sold out in 5 days. His interview on the Bob Edwards Show (Sirius) was featured on NPR as one of the top 4 shows of the year: listen to interview. This article offers a wonderful description of Buzzy’s impact on youth: Guitar Man Stops By Juvie. 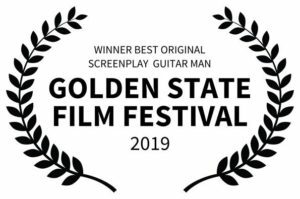 You can join the conversation about this exciting book and movie project: Facebook Guitar Man book page & Facebook Guitar Man movie page; IMDB page.